A mix of Jazz-Fusion, “Fonk” (not funk!) and old school R&B with an emphasis on bands with tight rhythm sections and dynamic horn sections. The show, hosted by Barry Jackson, includes interviews with local, national and internationally-renowned artists on a regular basis. Barry has had the pleasure of interviewing such artists as the founding members of the Tower of Power, George Duke, Jean Luc Ponty, Tiger Okoshi, Billy Cobham and many others. Tune in and groove with me. You never know what’s in store, but I think you’ll be pleasantly surprised! I host the “Thursday Morning Buzz – The Fusionfunkmeister,” which emphasizes the genres of jazz/Fusion and Funk! You will not only hear the golden oldies of the genres of Funk and Fusion, but you’ll hear the new projects and I’ll share some facts about the artists and the music. You hear interviews done with the artists who helped originate the music, and the up and coming, local artists, who are keeping up the traditions of the genres. The Fusionfunkmiester has a chat with the leader and founder of the Tower of Power,who are celebrating 50 years in the music business,and will be appearing live Saturday Aug.25,2018 along with the Average White Band. Your Fusion Funkmeister brings his fonk and fusion to the Thursday Morning Buzz. During this years Folk Alliance International I, Beth Pike had the great fortune of meeting a wonderful group of like minded individuals and was granted an opportunity to bring Bruce Sudano to the KKFI studios for a live interview and performance. It was a true blessing and one I will be forever thankful for. I wish I could bring you the full show but that requires approval from each of the artists. Thank you Bruce for agreeing. Thank you Fiona Bloom, The Bloom Effect for making this possible. Again, it was a true blessing. Join, me Host Beth Pike for the second week of KKFI's Winter Pledge Drive. This week I'll once again dip my hand in the proverbial box of musical chocolates in honor of...."Beatlemania hits the US." The day The Beatles' American invasion began. The Beatles' Boeing 707, Pan Am flight 101, left London Airport early on the morning of 7 February 1964, bound for New York City. All we knew was that a couple of the records had done well in the States. Although the show is on the 9th I felt we would celebrate the influence of their music. The show will feature a Beatles covers from artists such as Phil Collins, Eddy Vedder, Alison Krauss, Ben Harper and many more. There will also be solo work featured from each of the Fab Four along with some Epic Beatles songs to close things out. 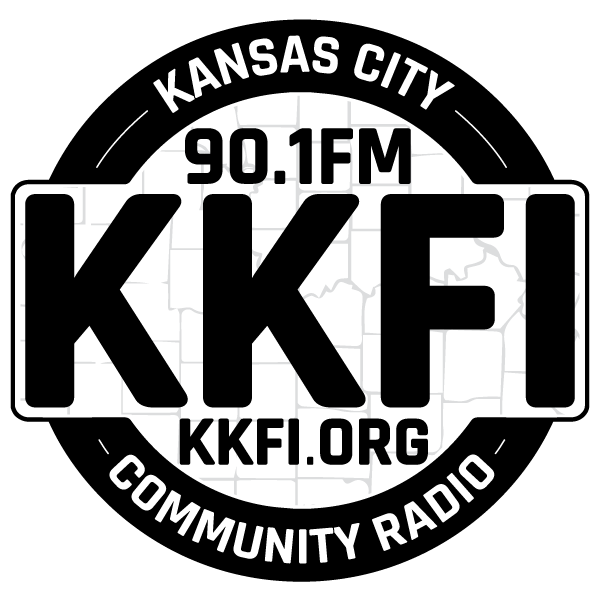 Join me on your community radio station 90.1FM KKFI. Streaming on the web at KKFI.org. Join Host Beth Pike as she dips her hand into the Proverbial box of Chocolates and see what sweet musical treats it brings this week. Looks like a Double Play day of some talented artists such as Alan Parsons, Queen, David Bowie, a small tribute to another Great lost in 2016, Billy Joel, Chrissy Hydne, your RDAR, Stevie Ray Vaughn and a whole lot more!! Don't want to give it away because as you know...."Life Is Like a Box of Chocolates...You Never Know What You Are Gonna Get ! " Streaming the broadcast on KKFI.org 90.1FM Kansas City Community Radio.